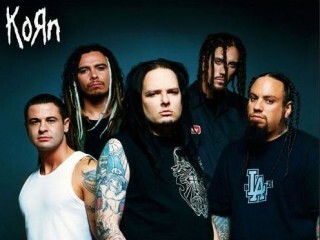 Korn (stylised as KoЯn) is an American nu metal band from Bakersfield, California, formed in 1993. The current band line up includes four members: Jonathan Davis, James Shaffer, Reginald Arvizu, and Ray Luzier. The band was formed as an expansion of L.A.P.D. They have collaborated with musicians such as Chino Moreno from Deftones, Fred Durst from Limp Bizkit, Ice Cube, Tre Hardson from The Pharcyde, Skrillex and Nas. The band released their first demo album, Neidermeyer’s mind, in 1993. Their debut album, Korn was released in 1994, where they featured the same musicians that had performed on Neidermeyer’s Mind. The band began recording Life Is Peachy in April 1996, and released it on October 15, 1996. Follow the Leader is recognized as Korn’s mainstream breakthrough, peaking at number one on the Billboard 200 in 1998, along with the following album, Issues in 1999. The band released Untouchables on June 11, 2002, and later released Take a Look in the Mirror on November 21, 2003, both peaking in the top ten of the Billboard 200. Their first compilation album, Greatest Hits Vol 1, peaked at number four on the Billboard 200. See You on the Other Side was released on December 6, 2005, and Korn’s Untitled album was released nearly two years later on July 31, 2007. Korn III: Remember Who You Are, the band’s ninth studio album, was released July 13, 2010 via Roadrunner Records. The Get Up! Songfacts reported that Korn’s 10th studio album, The Path of Totality was produced by various dubstep, drum and bass, and electro house artists due to the band’s desire to fuse their traditional sound with electronic elements. released on December 2, 2011 in Europe and December 6, 2011 in the US. Davis explained the album title: "The title The Path of Totality refers to the fact that in order to see the sun in a full solar eclipse, you must be in the exact right place in the exact right time. That’s how this album came together. I think all the producers feel the same way. I’m not sure it could ever happen again." "I want people to experience something sonically that they never have when they listen to this record," Shaffer stated about The Path Of Totality. Davis echoes that sentiment, "I want to trail-blaze. I want to change things. I want to do things we're not supposed to do. I want to create art that's different and not conform to what's going on. We didn't make a dubstep album. We made a Korn album." Korn currently has 36 singles, 25 of which have charted. The band has six video albums and 34 music videos. 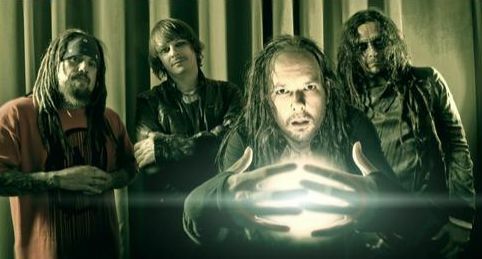 "It's future metal," declared vocalist Jonathan Davis about their music. "We're mixing metal and electro music, and you're not supposed to do that. Since day one, Korn has always been all about going against the grain, experimenting, and trying to take music different places." Meanwhile, guitarist James "Munky" Shaffer affirmed, "You need to be pushed out of your comfort zone to take chances. We were able to do that by collaborating with all of these brilliant writers and challenging ourselves. We're still pushing ourselves to grow." 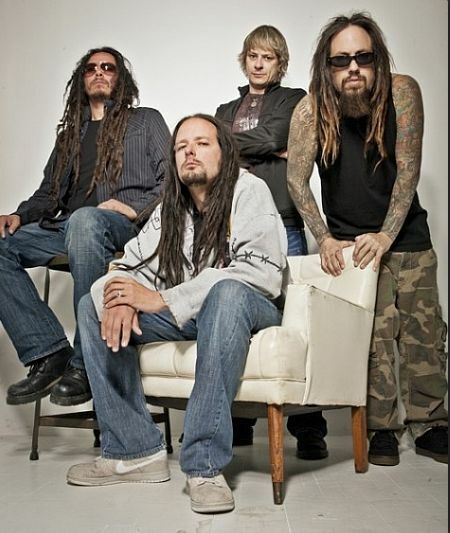 Korn has sold 16 million albums in the US, and over 40 million worldwide. Ten of the band’s official releases have peaked in the top ten of the Billboard 200, eight of which have peaked in the top five. Eight of those releases are certified Platinum by the RIAA, and one is certified Gold. Korn have also earned seven Grammy nominations — two of which they have won (for “Freak On A Leash” and “Here To Stay”).